Antoine Ogier has a long history in the Southern Rhone Valley as the domaine was created by Christophe Ogier all the way back in 1859. At the time, Christophe Ogier was a well-known negociant working in the Rhone. The modern age for Ogier Caves des Papes stared almost 100 years later when they started to age and blend the wines they were selling. This took place in 1948. In time, they merged with another firm Caves des Papes and Ogier Caves des Papes was born. Maison Ogier merged with Vignobles Jeanjean in the Languedoc appellation in 1994. The company continued expanding and in 1999, they purchased Clos de l’Oratoire des Papes from the Amouroux family. To celebrate 150 years as a domaine, they inaugurated a display in their visitor reception area showcasing their various terroirs and soil types, the Conservatoire des Terroirs de Chateauneuf du Pape. 2 years later, in 2011, Maison Ogier went a step further and launched a unique series of wines devised to highlight the differences in the various soils types found in their vineyards. To further enhance the idea of soil and terroir and their effect on the wines, each of the 4 wines is made from the same blend, vinified and aged in the exact same manner. Ogier Chateauneuf du Pape produces 8 red Chateauneuf du Pape wines and 4 Chateauneuf du Pape Blanc wines. Ogier Chateauneuf du Pape Les Closiers is created from a blend of 80% Grenache, 10% Syrah, 5% Cinsault and 5% Mourvedre. The wine is aged in foudres and demi muids for 12 months. On average the production is close to 5,500 cases per year. Ogier Chateauneuf du Pape Red Terroirs comes from a blend of 75% Grenache, 15% Syrah, 5% Cinsault and 5% Mourvedre. The wine is aged in large, truncated shaped, oak vats for 12 months. On average the production is close to 3,000 cases per year. Ogier Chateauneuf du Pape Oratorio is produced using 75% Grenache, 15% Syrah, 5% Cinsault and 5% Mourvedre. 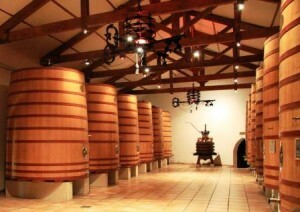 The wine is aged in large, truncated shaped, oak vats for 12 to 14 months. On average the production is 750 cases each vintage. Ogier Chateauneuf du Pape les Choregies is produced from blending 80% Grenache, 15% Mourvedre and 5% Syrah. The wine is aged in a combination of old foudres, French oak barrels and demi-muids. Ogier Chateauneuf du Pape Clos de l’Oratoire des Papes is made from blending 65% Grenache, 25% Syrah and 10% Mourvedre. The wine is aged in old, oak foudres. Ogier Chateauneuf du Pape Terroir Galets Roules is made from a blend of 95% Grenache with the remainder of the blend coming from assorted grape varieties. The vines are planted in the rock and stone terroir, unique to Chateauneuf, that is called Galets Roules. Ogier Chateauneuf du Pape Terroir Gres Rouge is made from 95% Grenache that comes from vines planted in red sandstone with iron soils and is aged in foudres for 12 months. Ogier Chateauneuf du Pape Terroir Eclats Calcaires is made from vines that average 50 years of age that are planted in mostly limestone soils. The wine is about 95% Grenache, with the remainder of the blend coming from various AOC approved grape varieties. The wine is aged in foudres for 12 months. Ogier Chateauneuf du Pape Terroir Safres is produced from 95% Grenache that comes from vines planted in their sandy terroir. The wine is aged in foudres for 12 months. Ogier Chateauneuf du Pape Heritages is a Grenache based blend produced in fairly large quantities as the average annual production is close to 6,500 cases per vintage. Ogier Chateauneuf du Pape Reine Jeanne is produced from blending 80% Grenache, 10% Syrah, 5% Cinsault and 5% Mourvedre. The Grenache is partially destemmed. The wine is aged in foudres for 12 months. Ogier Chateauneuf du Pape Blanc is produced from blending 25% Grenache Blanc, 25% Roussanne, 25% Bourboulenc and 25% Clairette. After aging for 6 months in a combination of tanks and used, French oak barrels, the annual production is 500 cases per vintage. Ogier Chateauneuf du Pape Clos de l’Oratoire des Papes Blanc is produced from a blend of 30% Grenache Blanc, 30% Clairette, 30% Roussane and 10% Bourboulenc. Ogier Chateauneuf du Pape Reine Jeanne Blanc is made from blending 25% Grenache Blanc, 25% Clairette, 25% Roussanne and 25% Bourboulenc. Ogier Chateauneuf du Pape Heritages Blanc is a blend of Grenache Blanc, Clairette, Roussanne and Bourboulenc. Ogier Chateauneuf du Pape can be enjoyed on the young side. Young vintages can be popped and poured, or decanted for about 1 hour, give or take. This allows the wine to soften and open its perfume. Older vintages might need very little decanting, just enough to remove the sediment. Ogier Chateauneuf du Pape is usually better with 2-4 years of bottle age. Of course that can vary slightly, depending on the vintage. In the best vintages the wine should be consumed within 3-12 years after the vintage. Ogier Chateauneuf du Pape is best served at 15.5 degrees Celsius, 60 degrees Fahrenheit. The cool, almost cellar temperature gives the wine more freshness and lift. Ogier Chateauneuf du Pape is best served with all types of classic meat dishes, veal, pork, beef, lamb, duck, game, roast chicken, roasted, braised, stewed dishes, sausage and cassoulet. Ogier Chateauneuf du Pape is also good with Asian dishes, hearty fish courses like tuna, mushrooms pasta, eggplant and tomatoes. The white wine of Ogier Chateauneuf du Pape is best served with a myriad of different seafood dishes, shellfish, crab, lobster, sushi, sashimi, chicken, pork and veal, as well as Asian cuisine. As a negociant company, Ogier also produces red and white wine in a myriad of appellations in the Southern Rhone Valley including: Cotes du Rhone, Cotes du Rhone Villages, Gigondas, Vacqueyras, Rasteau, Lirac and Tavel. Kirsch covered with licorice and sweet cherry aromas lead you to a medium bodied, fresh, ripe, silky, forward, blast of spicy, bright red fruits. The wine is made from blending 85% Grenache, 10% Mourvedre and 5% Syrah. You can enjoy this young. Produced from Grenache, blended with Syrah and Mouvedre, the wine is elegant, soft, fresh, medium bodied, forward and spicy with a finish loaded with juicy, sweet, kirsch. Soft, silky, polished and fresh, the wine exudes sweet kirsch and spicy notes from start to finish, in the medium bodied, forward, easy drinking, styled wine.. Medium bodied, with a sweet kirsch opening, the wine is fresh, soft and forward, with an elegant, spicy, fresh, red berry, peppery charm. Blending 95% Grenache with 5% Cinsault produced a medium bodied wine that exchanges density for freshness and purity in the red fruits. Forward, with a nice, sweet, floral character, this can be enjoyed young. Fresh, sweet and spicy, the wine is medium bodied and loaded with juicy kirsch, cherries and wild strawberries. This is already fun to drink. Spicy red berries, strawberry and a dose of earth create the nose. Medium bodied, finesse styled, with a light, elegant, red cherry dominated, fruity finish. This will be better with a slight chill. Forward, bright, crisp, herb and kirsch oriented, medium bodied, fresh styled wine, with a shot of thyme and cherry in the end note. Medium bodied, forward, easy drinking style, with a soft, cherry profile, elegant, supple textures, and a polished, silky kirsch finish. Medium bodied, soft and made for early drinking, to allow tasters to enjoy the most of its soft, red berry and garrigue filled character. Plush and polished, there is a wealth of sweet, ripe berries and jam in every sip and swallow. Blending 80% Grenache, 10% Syrah, 5% Mourvedre and 5% Cinsualt, the wine reached 15% alcohol. Earthy, rustic, ripe red fruits and spice, with a sweet core of fresh red berries in the center. Even though it’s young, it’s already delicious. Earthy, with sweet, ripe fruits, round textures, spice and A forward style, this is already nice to taste. Garrigue and fresh red fruit aromas open to a polished, soft, fresh, red cherry dominated wine that can be enjoyed young. Floral notes with sweet cherries, medium body and a crowd pleasing easy drinking style. Easy drinking, ready to go charmer with plenty of kirsch, thyme and black pepper. Medium bodied and soft, the finish is all about the sweet, ripe cherry notes. Tart, crisp, bright and more about its acid than fruit. Hard to like this wine, but I tried. The bottle was in perfect shape. So chances are, it was not the bottle, it was the wine.